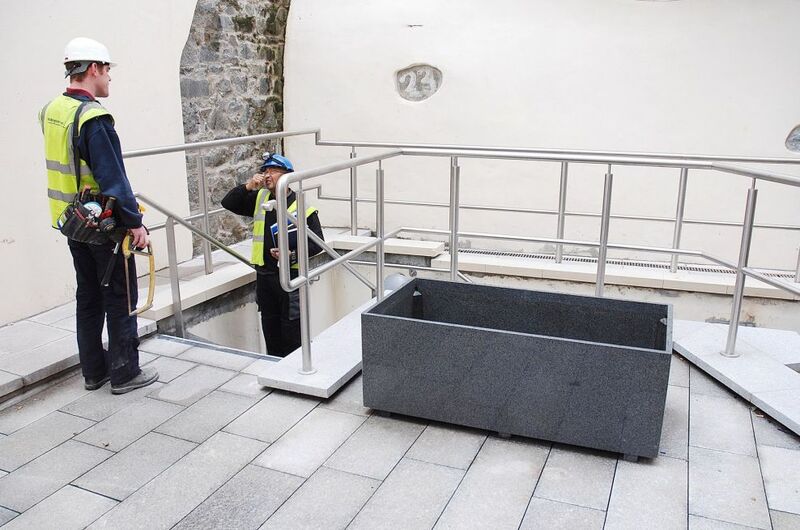 Custom granite planters from IOTA were commissioned for Royal Chambers, a new-build landmark office building within the financial centre of St Peter Port, Guernsey. 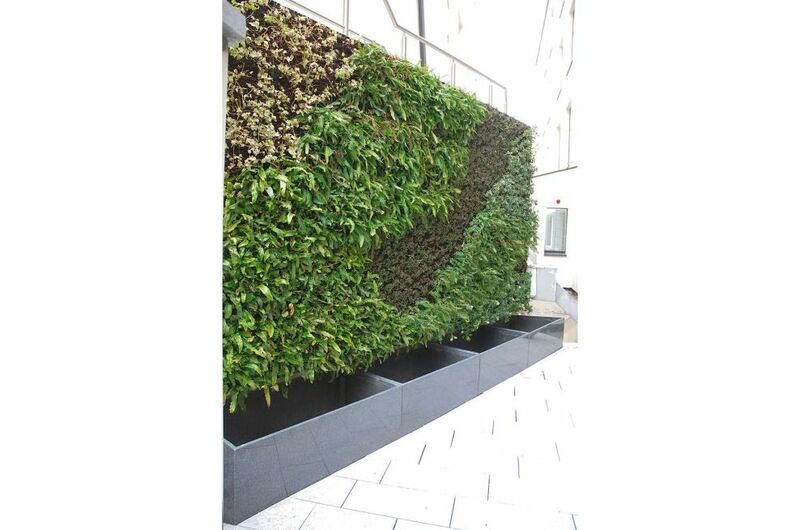 The planters are used principally to green a split-level courtyard area, with lush, evergreen planting incorporating a green wall system. The images here show the courtyard still under construction, with IOTA’s planters sited and installed, but not yet planted. 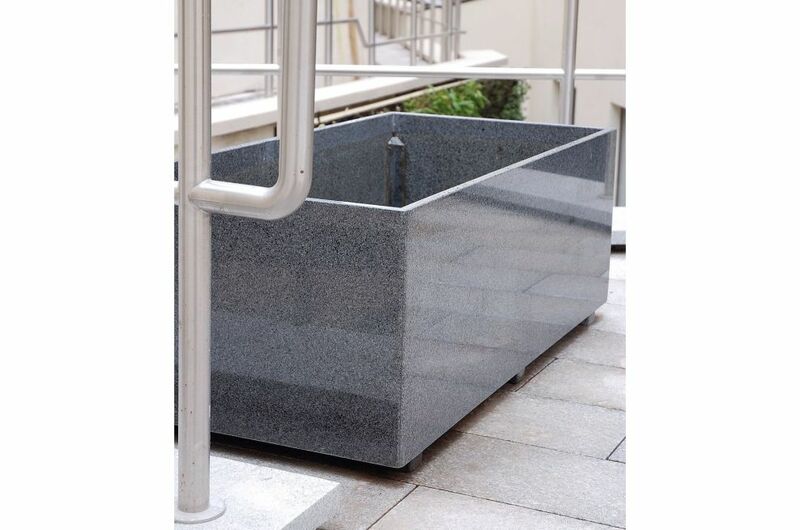 The planters are made from polished mid-grey granite in 25mm thickness, which coordinates well with the flame-brushed granite paving and stainless steel railings. 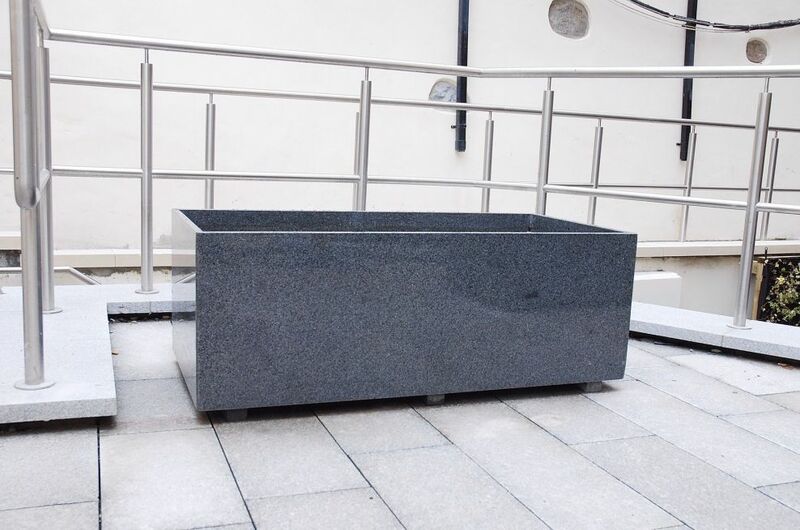 The scheme required various sizes of planters to be manufactured to extremely fine tolerances, including 1200mm and 1420mm rectangular troughs, and also a 1274mm trough in trapezoid shape with two sides of 909mm and 789mm. 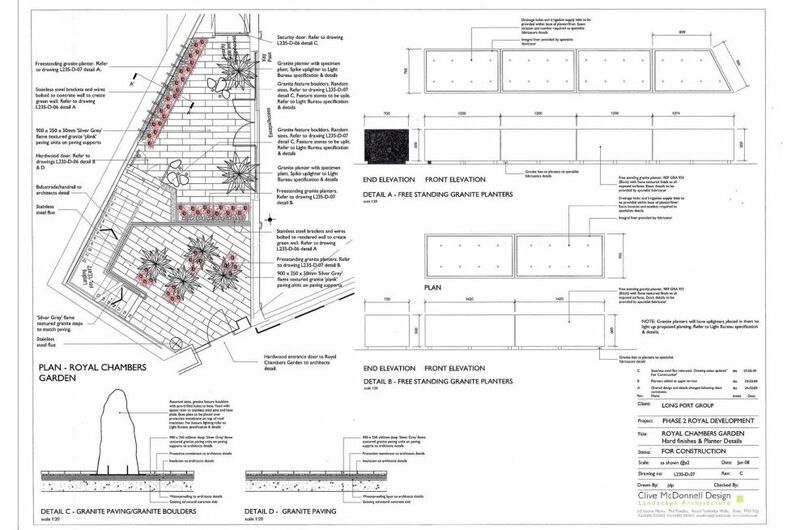 The planters are arranged in three groups on both upper and lower levels of the courtyard, with two groups to be planted with specimen plants. 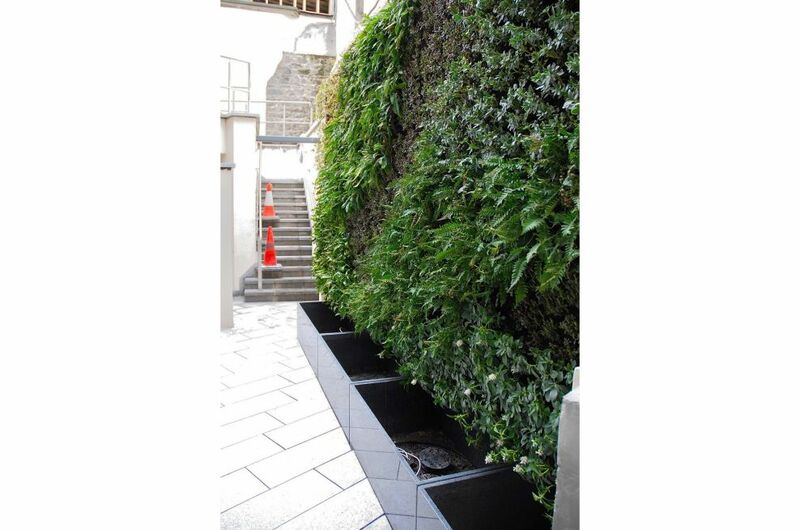 A further group of planters are arranged in a row, and are integrated within a sophisticated green wall system. 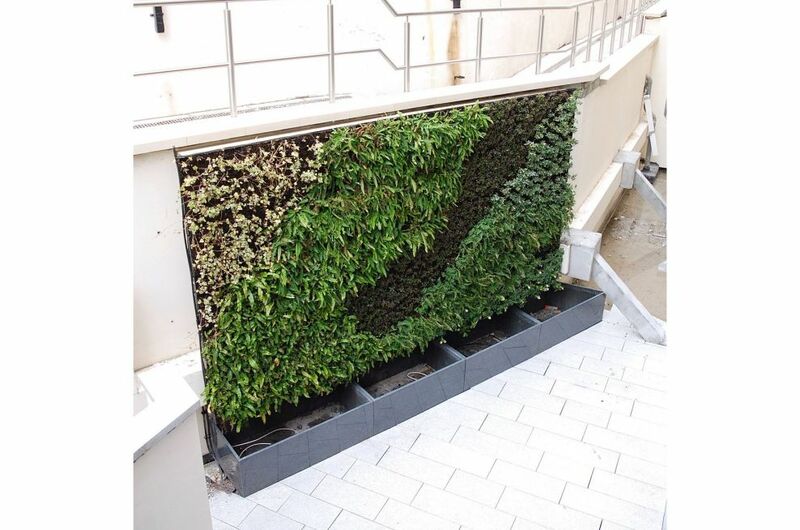 As specified by the landscape architect, IOTA’s planters were supplied with raised feet, drainage holes and irrigation supply inlets, and uplighters directed at the green wall will be incorporated into the planters within the final installation. 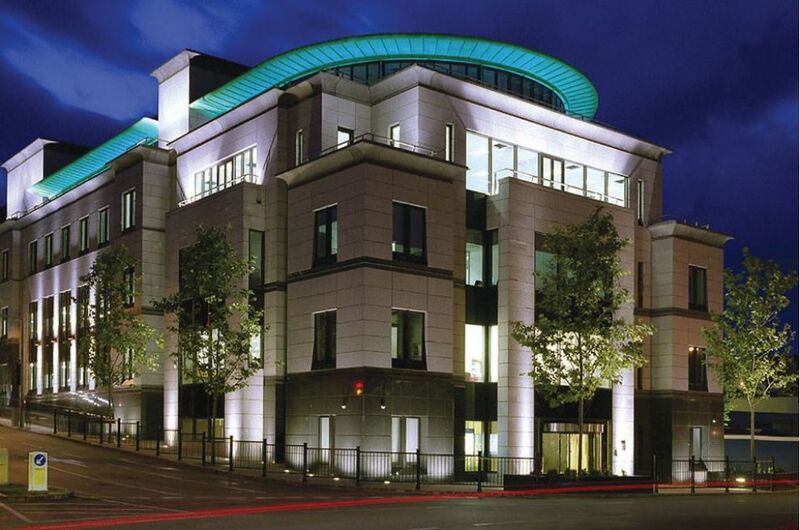 Royal Chambers is a six storey, 60,000 sq.ft landmark office building within the financial centre of St Peter Port. Royal Chambers is one of four phases within the £200m Royal Site Development, which also includes Royal Terrace (a 120,000 sq.ft. mixed use scheme with residential apartments, retail and hospitality areas), Rotunda (an 8,000 sq.ft residential and restaurant scheme), and Royal Gardens (68 high-end residential apartments). 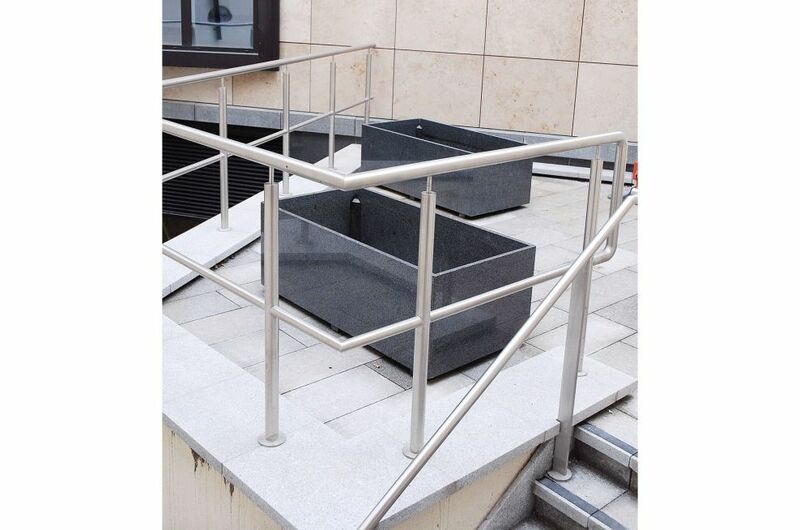 The landscape architects for the Royal Chambers project are Clive McDonnell Design who specified IOTA’s planters.